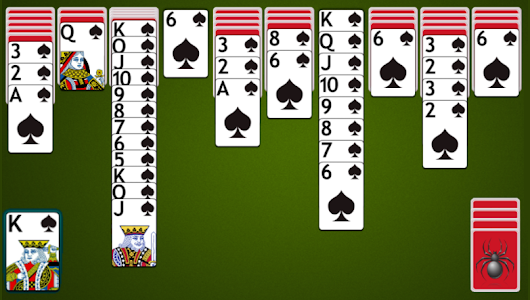 Spider Solitaire is a popular classic card game. You need to move cards and drag them to their destination. Use your strategy and stack all cards of each suit in descending order from King down to Ace (King, Queen, Jack, 10, 9, 8, 7, 6, 5, 4, 3, 2, Ace) to solve the puzzle .Remove all cards from the table, Once the table is completely empty the game has been won. 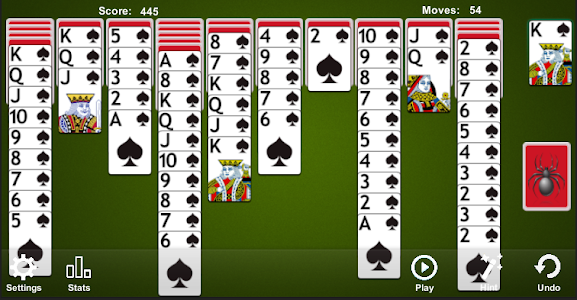 Try to remove the cards with fewest moves possible to make the best score . 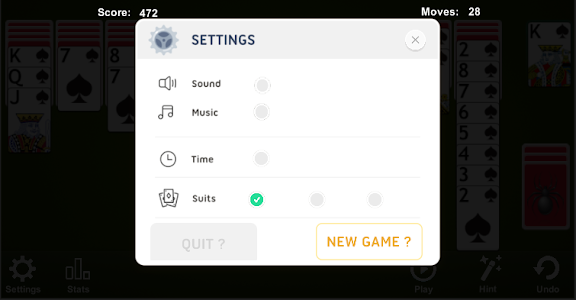 Do you like classic and fun games? 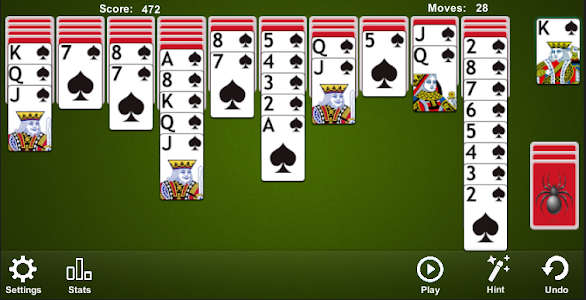 Do you enjoy playing other types of solitaire like Klondike, Pyramid solitaire, FreeCell solitaire. 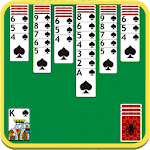 Download the best Spider Solitaire available for your mobile device today. - Clean and user-friendly designs . - Big and easy to see cards . 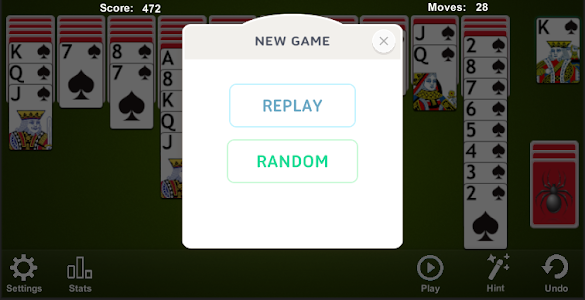 - Drag and drop to move cards . 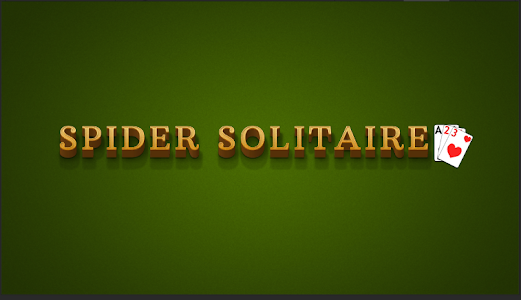 - Beautiful Spider Solitaire experience based on the classic solitaire game . - Unlimited Smart Hint . - 3 suit varieties : 1 suit (Easy), 2 suit (Medium) and 3 suit (Hard) . - Real sound effects . - Phone and tablet support for a perfect game experience . - Statics page with best score and best moves . - Optimized game performance and player experience.